The full cast has just been announced for Gary Barlow and Tim Firth's new musical The Girls which is based on the successful film and award-winning stage play Calendar Girls telling the story of the members of Rylstone Women's Institute who bared all for a charity calendar. 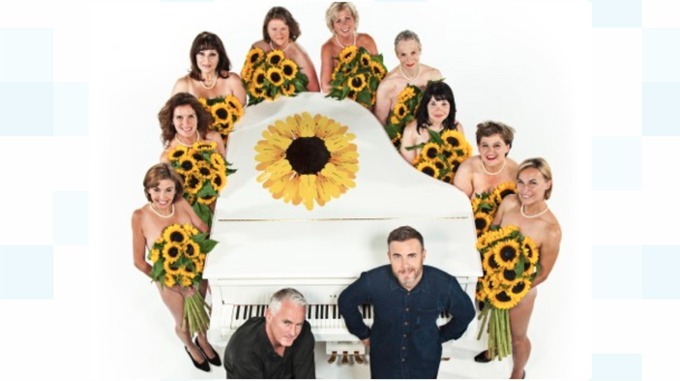 The musical has its world premiere at the Grand Theatre in Leeds on November 14th where it will run until 15th December. Joining the previously announced Josh Benson as Tommo, Ben Hunter as Danny and Chloe May Jackson as Jenny are Debbie Chazen as Ruth, Sara Kestelman as Jessie, Claire Machin as Cora, Claire Moore as Chris, Vivien Parry as Celia, Joanna Riding as Annie and Harriet Thorpe as Marie. Also in the cast will be Stephen Boswell as Colin, Joe Caffrey as Rod, Jeremy Clyde as Denis, Susan Fay as Brenda, Steve Giles as Lawrence, Richard Huw as John, Shirley Jameson as Miss Wilson, Judith Street as Lady Cravenshire and Karen West as the other Miss Wilson.